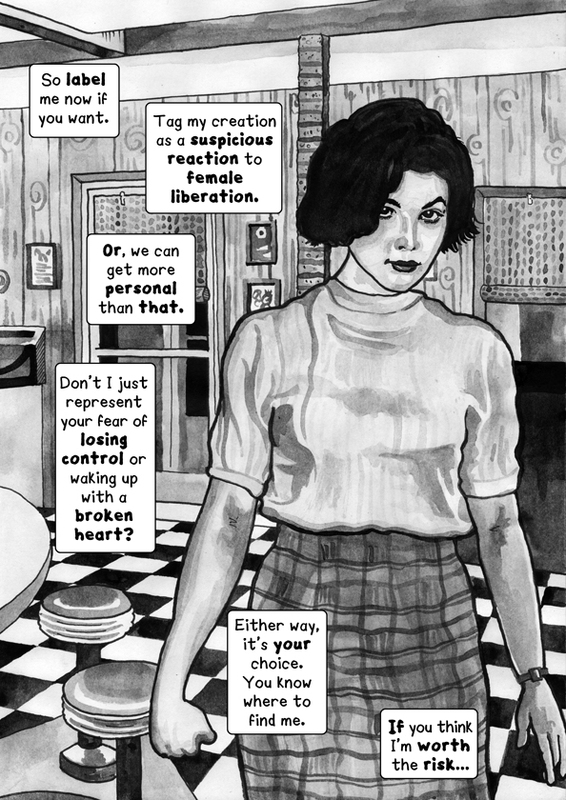 To mark the complete David Lynch restrospective at BFI Southbank, which runs from 7 to 29 February 2012 and includes his early shorts, we have a comic strip on his femmes fatales. For more information, please go to the BFI Southbank website. FALLING: The Allure of the Femme Fatale in the World of David Lynch. 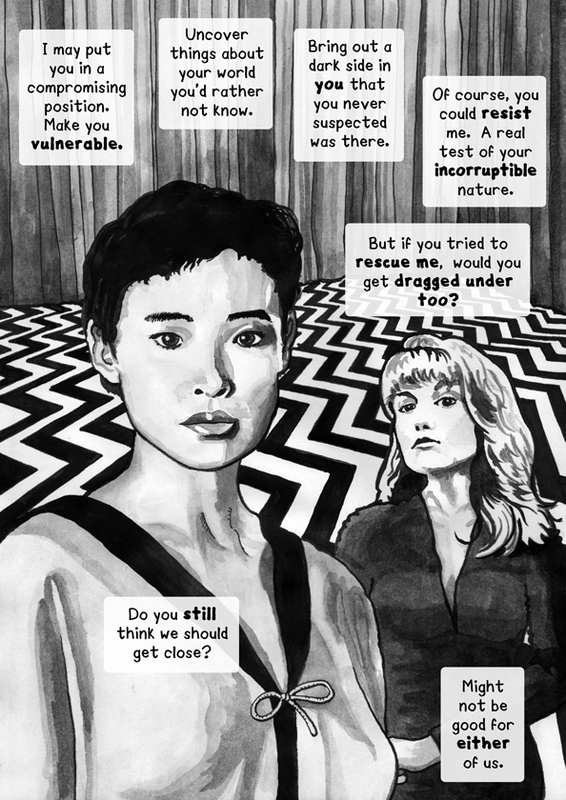 By Richy K. Chandler, who thanks Joan Chen, Sherilyn Fenn, Mark Frost, Sergeja Krajnc, Sheryl Lee, David Lynch, Mike Perschon, Isabella Rossellini, Shilla Solanki and Alanna Thain.